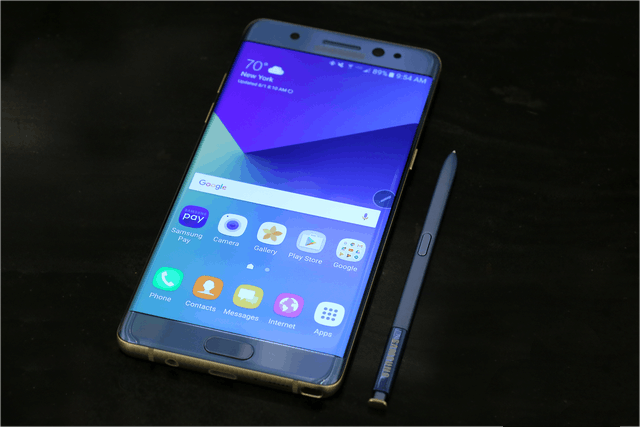 A few days ago, Samsung introduced its flagship smartphone the Galaxy Note 7 for the second half of 2016. 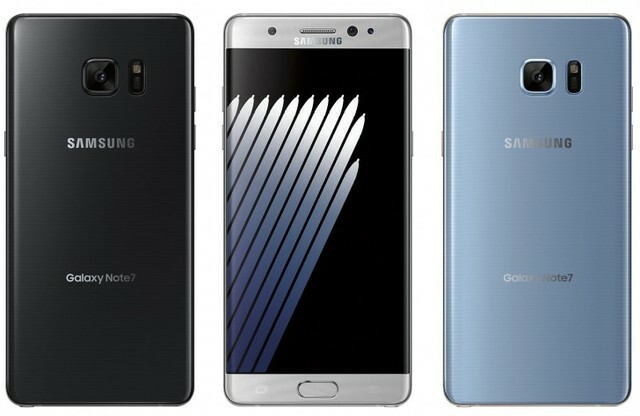 Since the predecessor Galaxy Note 5 and Note Edge have been available for only short time, the Note 7 is finally again officially available in many markets. The Galaxy Note 6 will not be seen, Samsung skips these numbers for the same name for the Galaxy A and C series. Technically, users can get the Galaxy Note 7 at modern features, for example, a high-quality camera, an iris scanner, a fast processor and a very large internal memory. The display is rounded off to both sides. 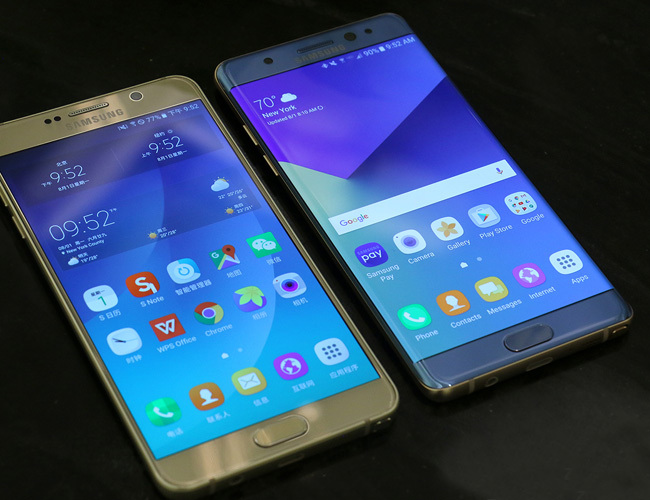 The display size of the Samsung Galaxy Note 7 is just 5.7 inches, and is slightly rounded down at the sides, as you already know it from the Galaxy S6 edge and Galaxy S7 edge ago. The resolution is 2560 x 1440 pixels and is the same to the predecessor models. A version with a flat display does not exist. The body of Galaxy Note 7 consists of both front and rear glass and is protected against dust and splash, and Samsung has made the Note 7 on the certify IP68. The back camera of the Samsung Galaxy Note 7 triggers with 12 megapixels. This is a rather low resolution comparatively with the Galaxy S7, but in Note 7, the Dual Pixel technology is used, which is particularly sensitive to light and therefore to take good pictures in low light conditions. The Samsung Galaxy Note 7 battery is 3,500 mAh strong and not replaceable by the user, because the battery is permanently installed in the smartphone. For recharging and connection to the computer and other devices, a USB Type C port is used for the first time while in previous Samsung device, there was Micro USB. Of course again, a pen for operation and for drawing, can be recessed into the smartphone. 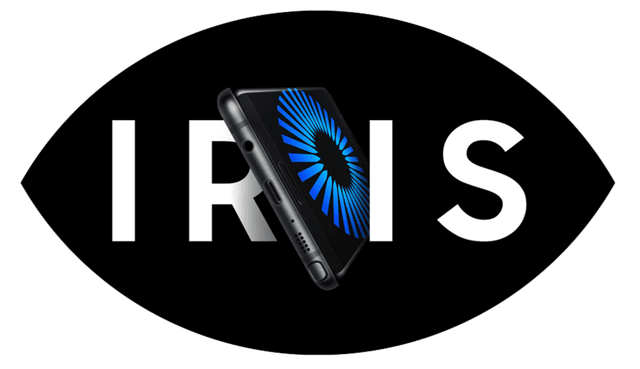 It’s the first time for Samsung smartphone to install an iris scanner. A fingerprint sensor is also built, which should be able to easily unlock the Galaxy Note 7. But security should be much better at Iris scanner. Here we should wait the first user’s report about whether the response is really as fast, simple and reliable as Samsung promises. Samsung has the Galaxy Note 7 equipped with a modern chipset, a 64-bit Exynos comes with eight-core processor for use, and the 6 gigabytes RAM are available. The internal memory of 64 gigabytes is available and expandable up to 256GB, which is the largest available microSD currently. The modem in the Samsung Galaxy Note 7 may support LTE with up to 600 megabits per second in the downlink (LTE Advanced cat12). This is made ​​possible by bundling up to 3 frequency ranges (3CA). In Germany, Vodafone has recently launched LTE CAT9 with 3CA at up to 375 Mbit/s possible. Of course, the modem is also backward compatible with older LTE categories and UMTS & GSM in Samsung Galaxy Note 7. Moreover, voice telephone (VoLTE) is also supported. Samsung Galaxy Note 7 will be available soon in Europe and Asia markets. 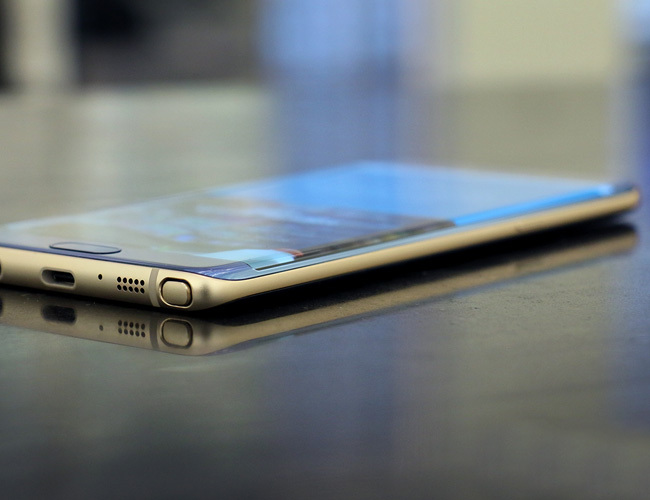 We suppose the retail price is significantly more than that of Samsung Galaxy S7 edge. But the price will be available when it’s presented to public. You will see the price on www.4gltemall.com in near future.